Big changes are on the horizon for dining at Disney’s Yacht Club Resort. 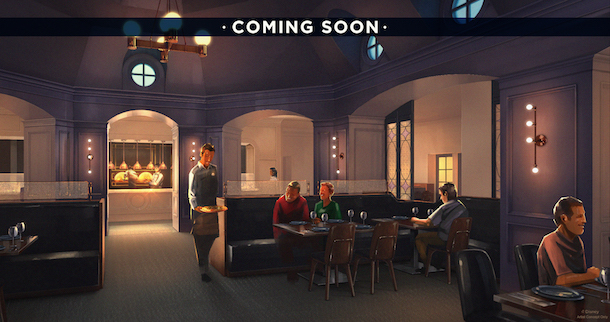 Captain’s Grille has been under refurbishment since the end of May, and now we know what is going to take its place. Ale & Compass Restaurant will feature a gastropub ambiance and will focus on a New-England inspired menu. Ale & Compass Restaurant will be open for breakfast, lunch, and dinner and will continue to be a table service dining location. The restaurant’s decor is inspired by a lighthouse and the main focal point will be an on-stage hearth oven. Ale & Compass Restaurant is expected to open sometime in October. The lounge next door will also see a makeover. It will be transformed with a new interior and will expand to include 58 seats. 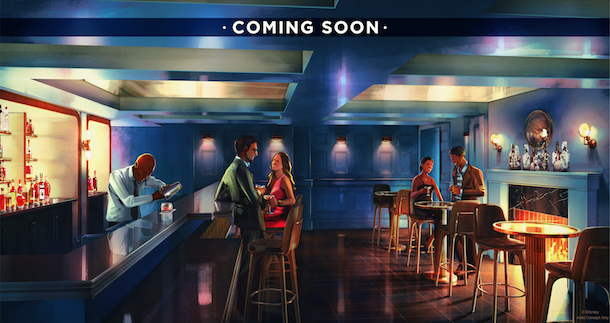 The lounge will offer up a new menu of classic cocktails and light bites. Recently, for those who didn’t know, the hotel opened its new quick service location, The Market at Ale & Compass. Guests can enjoy both made-to-order options, as well as grab ‘n go choices. There is also a Coca-Cola Freestyle machine, beer and wine, and a specialty drinking station that offers both specialty coffees and smoothies. The Market at Ale & Compass doesn’t have a huge amount of seating, as there are only 28 seats. The Market at Ale & Compass will soon offer a small merchandise area too. I liked Captain’s Grille too. But I’m not so sure about the “atmosphere”. It was about as generic as you can get within Disney World. This will almost certainly be an improvement. I see what you’re saying. For us, we liked that even when it was full, it still seemed calm. During a trip filled with fun, but overstimulating experiences,, it was nice to have a quality meal in a nicely designed space, where the food was the draw rather than the space. I liked the “open” setup that made the hallway and restaurant almost like one space and improved the feel and atmosphere of both. My guess is that the walls will be closed with the new theme and the hallway will feel claustrophobic. Anyway, I’m glad to hear that it isn’t opening until October, which ensures that I get my rare chance for lunch at Ariel’s in September! Whose invented the word “gastropub”?!?! I hear “gastro” then my brain says “intestinal” and whatever word that comes next is the exact opposite of yummy good eats. Pub grub makes me salivate. Bar and grille likewise. Oh well, I must be getting old. Captain’s Grille was a nice place to have a low-key dinner. Service and prices were good, and it was never too crowded. I’m hoping those things don’t change with the Ale & Compass. However, I hope they make it easier to get to the restrooms. It was fairly inconvenient to essentially leave the restaurant to find one. One thing that won’t be changing is that. It’s walking distance to the International Gate of Epcot, so you can easily catch Illuminations after dinner on non-park days. Won’t it be a little confusing for guests with all of these food options using the “Ale & Compass” moniker in some iteration? Especially all at the same resort? The “Ale & Compass” Lounge – The “Ale & Compass” Restaurant – The Market @ “Ale & Compass”. I can see a newly arrived guest being sent all over the place!